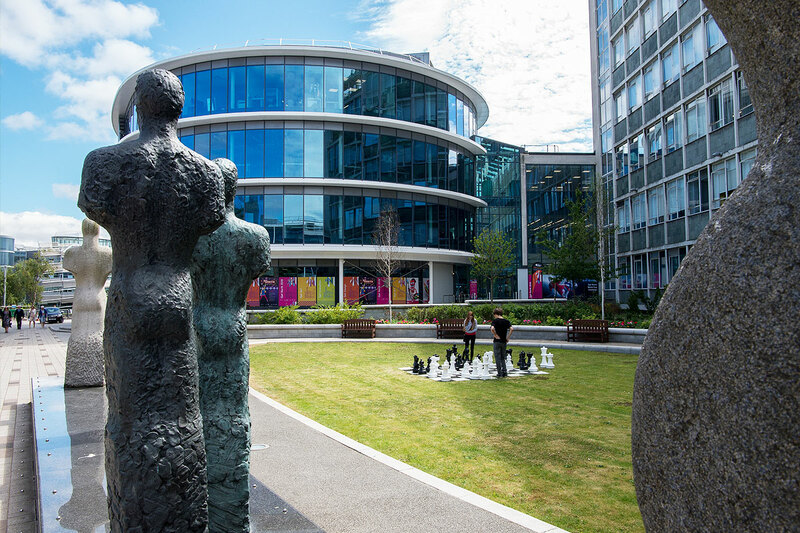 Following his involvement in the development of Northumbria University’s award winning City Campus East, James subsequently led the landscape design team for the re-development of Ellison Quad, whilst a Director at Insite Environments and subsequently at SLR Consulting. 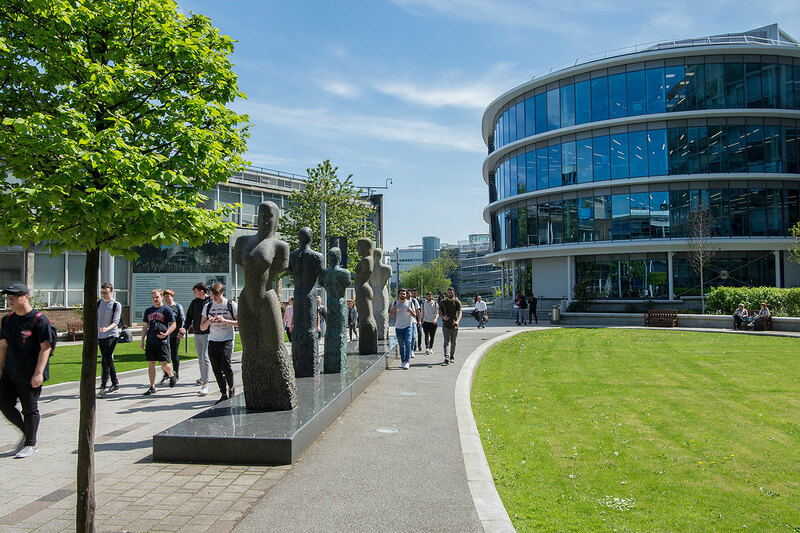 Surrounded by the Ellison building, home to Health and Life Sciences and the faculty of Engineering and Environment the brief for the re-design of the Quad was simple. To provide a square incorporating a direct pedestrian route from Northumberland Road through to the City Campus East development via the proposed Intersite Bridge – a pedestrian bridge extending over the A1(M) and Nexus Line. Ellison Quad links the East and West Campuses. Here, in contrast to the grandeur of the landmark space created at City Campus East, a landscape of concourse and garden has been created. The design philosophy is based on the principles of movement. The passage of people flowing through the space is reflected in the form of the design and the arrangement of hard and soft landscape materials. Opposing bands of graduated resin-bound gravel further reinforce this concept, which, coupled with the block paving design, also serves to provide a seamless integration with its immediate surroundings. Thus, continuity within the campus is provided by using the same limited palette of materials with the paving arranged in a unique carpet-like pattern – it works whichever way you cut it. Silver grey granite is dominant and grass and planting are prominent in the space, in contrast to the East Campus where planting is minimal. Strengthened by box-clipped trees, the main circulation corridor has been designed to give the perception of a bridge deck that appears to ‘float’ diagonally over an otherwise rich landscape and garden-like environment. Further works of art have been introduced – five large figurative pieces by the Norwegian sculptor Nico Widerberg displayed on a dark, polished granite plinth. The beauty of this space does not diminish as the sun sets. Lighting is used throughout thus it is essential to also visit the project after dark to fully appreciate its impact. copyright © one environments ltd.